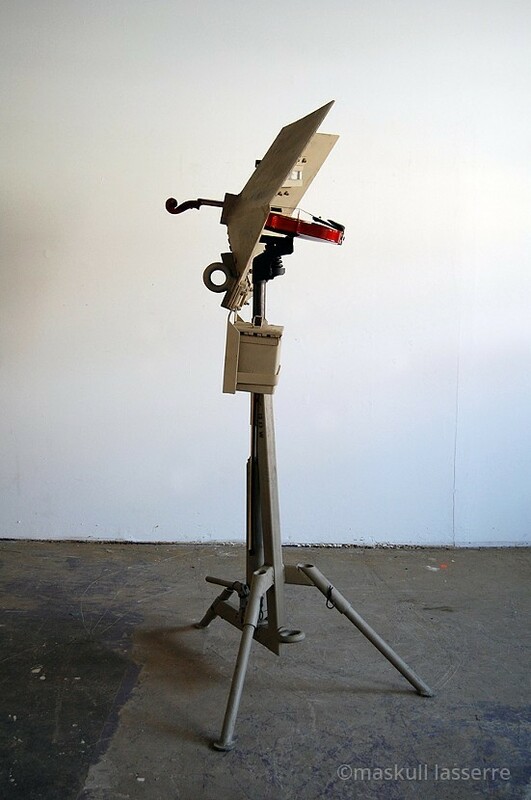 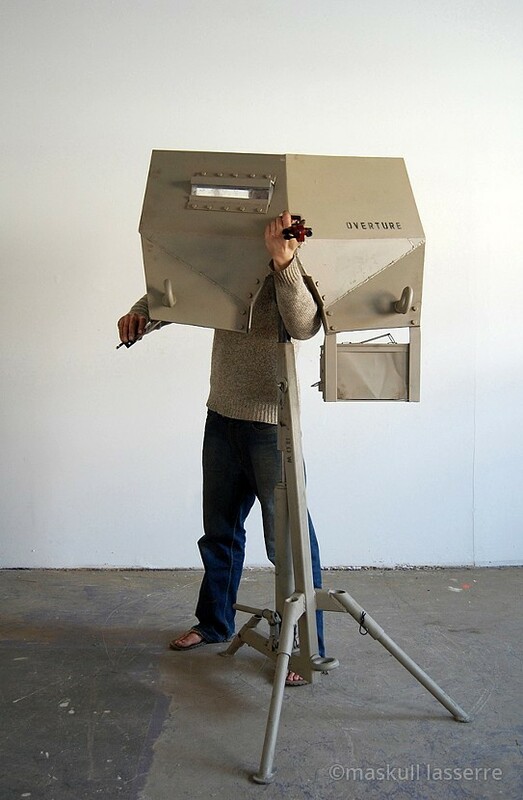 Canadian artist Maskull Lasserre (see previously) created these menacing weaponized object sculptures back in 2013. 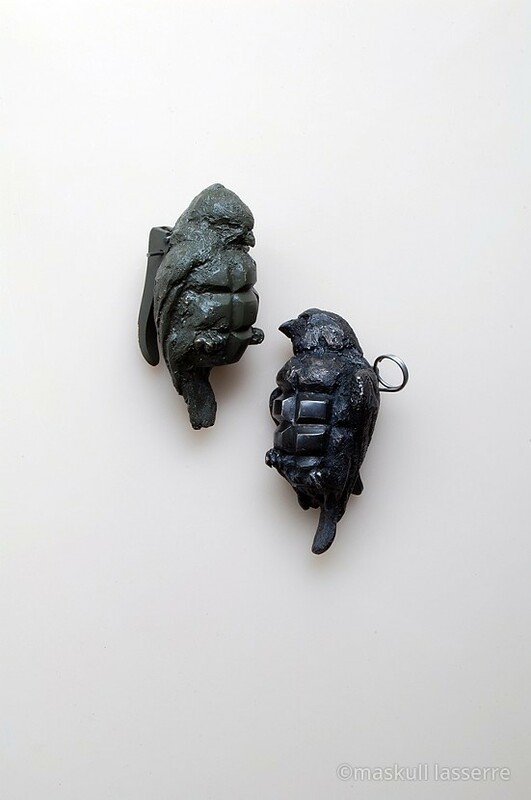 The sculptures are inspired by his experiences in Afghanistan while taking part in the Canadian Forces Artists Program in 2010. 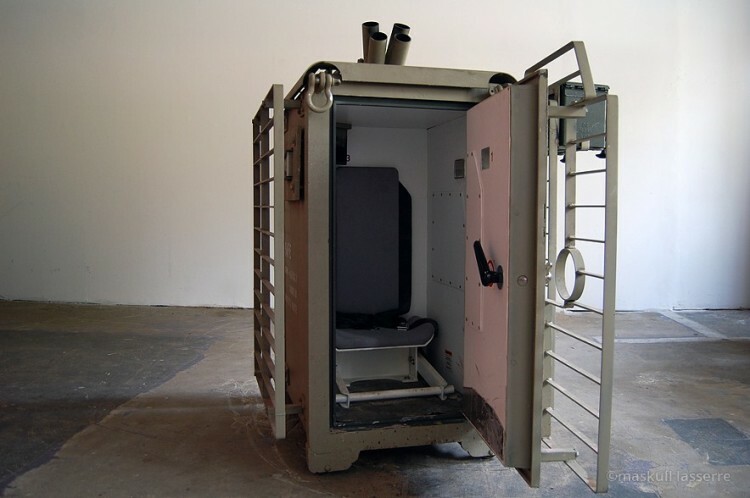 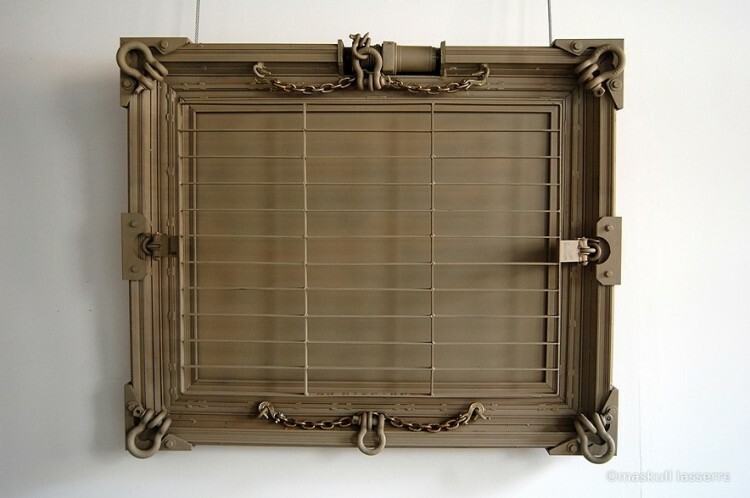 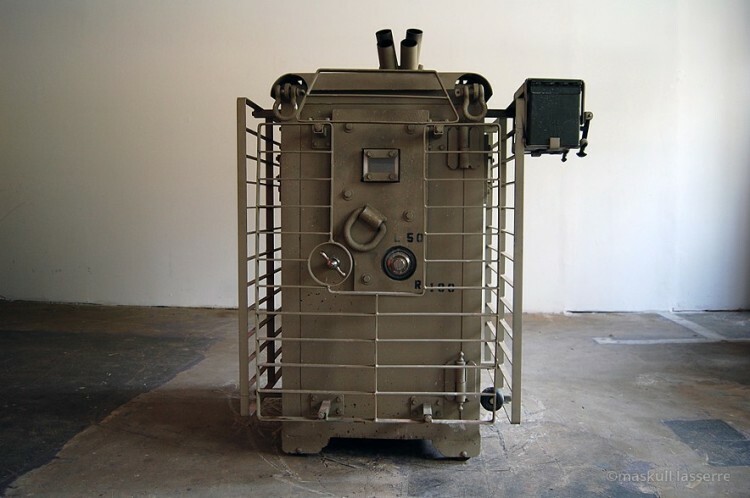 The series includes “Overture,” a playable violin on a machine gun-style armored tripod, and “SAFE,” a thoroughly intimidating “up-armored” 1940s-era safe that contains a seat for a single occupant.